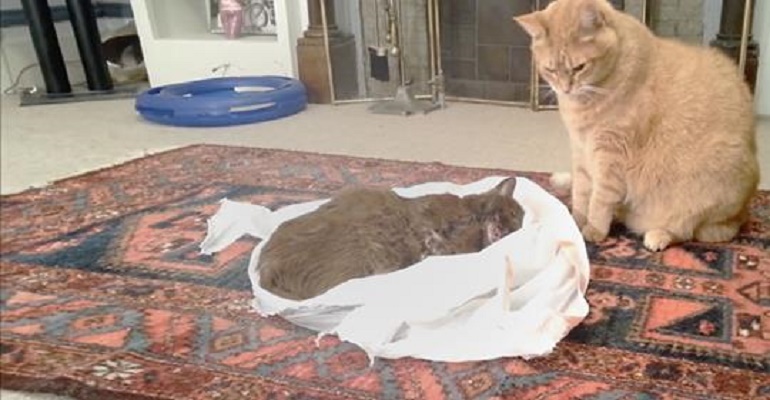 When this cat’s best friend passed from cancer, his owners let her say goodbye and the heart-wrenching video below will break your heart to pieces – Cats have true love, this video proves anyone wrong who thinks otherwise. Death is a natural part of life and saying “goodbye” is part of the process of letting go. We almost didn’t post this, but we must face the heartbreaking reality that many cats go through every time their best friend passes away. This heartbreaking video proves animals have true love… Viewer discretion advised!! !